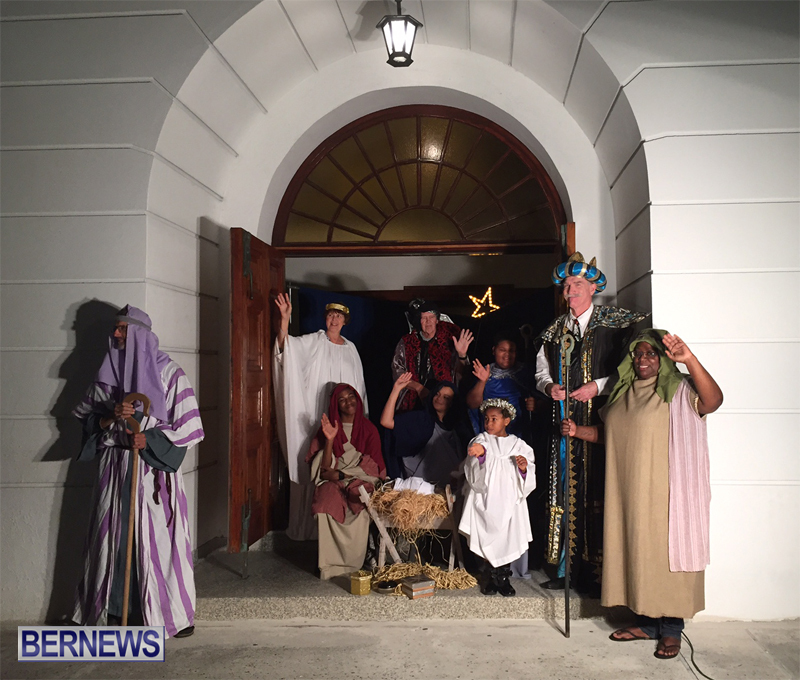 It’s beginning to look a lot like Christmas, and one of the sure signs that the festive season is upon us is the annual ‘Live Nativity’ mounted by the Wesley Methodist Church on Church Street in Hamilton. The annual tableau took place yesterday evening [Dec 20] at the church. The tradition has been a staple of the holiday season for more than 25 years and features a manger scene with Mary and Joseph with the Baby Jesus in the company of the Magi, shepherds and angels, all to the accompaniment of Christmas carols. Those taking part in the tableau are members of the church, ranging in age from 5 years to 60-plus. Passersby often stop to enjoy the carols and to take photos of the traditional manger scene.